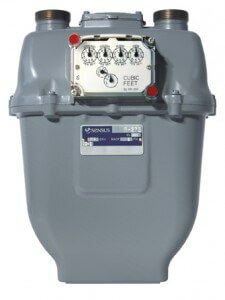 Reading your propane gas meter is easy. 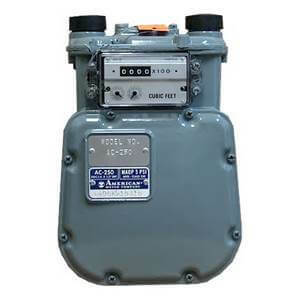 The meter reading is what you will send us to determine your usage – and therefore billing amount – each month. It is best to read your meter as close the same day each month as possible so that your usage will be based on a 30-day period. Please submit your meter reading no later than the 15th of the month. If we do not receive your reading, we will estimate usage for the month. If you have an odometer style meter like the one shown here, simply record the numbers from left to right in the order they appear. In addition to the odometer readout, your meter may also incorporate one or two clock dial indicators as shown. These indicators do not need to be recorded with your reading submission. If you have an dial style meter like the one shown here, it will have four to six clock-type dials. Be sure to read the dials from left to right. If the dial hand is not directly on a number, record the lower number. In the example, dial B reads `9` and dial D reads `2`. When a hand is directly on a number, always check the dial to the right. If the hand on the right is NOT ON OR PAST ZERO, record the preceding number. For example, the hand on dial B is not on or past zero, therefore, dial A would read `2`. Dial D has passed zero, therefore, dial C would read `3`.